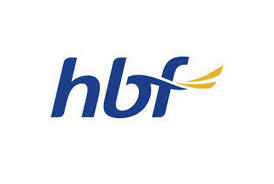 HBF health fund is a private insurance company with its head quarters located in Perth of Australia. It mainly focuses on the members in Western Australia to provide them with good health and well being. This aim of the company has made it as one of the most prominent and highly regarded by citizens of western Australians. Managing director of HBF Health Fund at present is Rob Bransby. HBF Health Fund Company has founded in the year 1941 of April month. It has begun its operations has a Metropolitan Hospital Benefit Fund, which will be covering hospital treatment costs in this hospital only for citizens of Western Australians. While in the year 1945 of October month it has extended its benefits to all hospitals located in Western Australia. After six years that is in November month of 1951, they have expanded their services by including medical funds that will be covering doctor consultations. In the year 1970, HBF health fund has opened its branches at Albany, Collie, Geraldton along with Katanning. In Murray Street Perth they have started branch in the year 1980. Along with health insurance, they have offered home, car insurances to the existing members in the year 1983. While in the year of 1986 they have started giving travel insurance to all the members. In year 2000, they have introduced Life Time Health Cover along with 30% of rebate which has resulted in increased customers. In 2003, financial planning advice was exclusively given to the existing members after the launch of HBF financial services. By the year 2011, their head office has 880 employees with 19 branches and 9, 00,000 members. Policies offered by HBF Health Fund Company for health, car, travel, caravan, home, personal valuables, life along with trailer insurances. 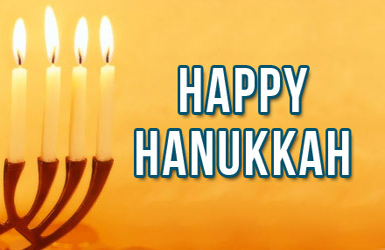 The main aim and vision of HBF is to create a happier along with unique community for its members. Claiming electronically on the spot just by swiping the member card only at the point of service. While the benefit will be paid in the form of amount deduction directly from providers fee. Claiming in online by just logging in and with a click on ‘Submit a health claim’. In this type benefits will be directly credited into the nominated bank account. Claiming at the HBF branch by simply dropping at the local branch and the rest of the process will be carried out by member service representatives. The benefits will be paid in two ways that is either by direct credits into financial institution or else with the help of cheque. Claiming can also be done by mail by just downloading, completing claim form and then posting it to HBF. In this process also benefits will be offered in two ways that is either directly crediting them to the financial institution or through cheque. HBF is a mutual organization that will be operating on the basis of non-profit and operates in all cities of Western Australia. It operates through service centers in Perth metropolitan area along with Mandurah.